Full information regarding the possibilities of accommodation will be published at the conference's website. Organizers will negotiate the reduction of the hotel rates for the participants in selected hotels. 25 EUR (adult); 10 EUR (child); will be payed to the Conference Secretary (in Liptovský Mikuláš). Fee reduction is possible in the case of the participants from Belorussia and Ukraine. Please contact the conference secretariat individually. The fee gives the right to participate in the sessions (plenary and poster sessions), conference materials and the accompanying meetings. Forming of the level of technical risk, especially identification of hazards associated with degradation as well as wear and tear processes occurring during operations, should be done already at the stage of design. The factor, which essentially affects such behavior, is the possibility of process evolution forecasting. Very important is to have procedures of detection of the periods of initiation as well as the early, low-energy phases of development of such defects. 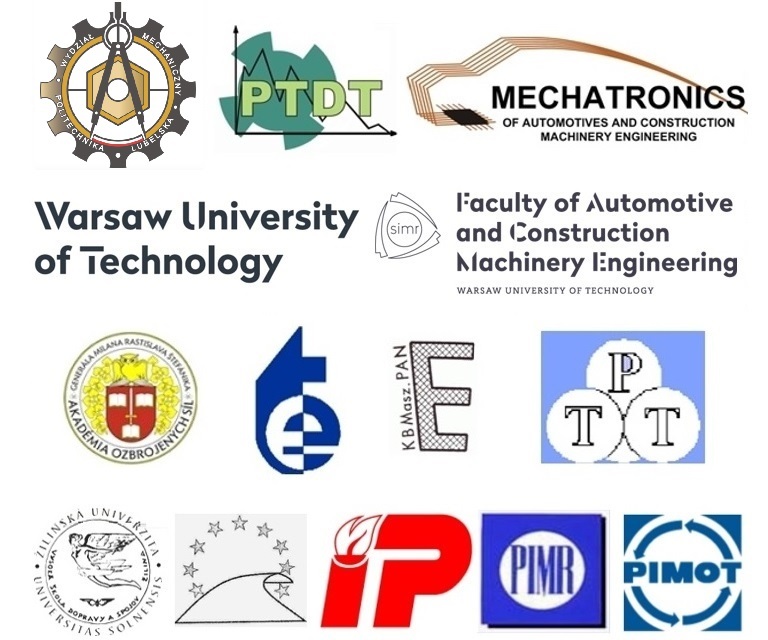 The purpose of the conference is presentation of the latest achievements in the field of modeling and simulation of mechanical systems’ defects, diagnosis of failures resulting from wear and tear as well as low-energy defects, safety of technical systems as well as diagnosis of technical condition and development of defects in structures, and also the issues from the field of tribology and operations in the broad sense of the term. English is the basic language of the conference and of the publications. Abstract must be send via this website. You must first register itself as the Conference participant via the above website, then you must log in as Conference participant using the password generated (after registering) via e-mail. Presenting the papers in Polish, Slovak or Czech is permitted but the displayed presentation must be prepared in English. declaration of participation (by web-page); Extended !!! 18.03.2019 Extended Abstracts submitting (1-4 pages), by web-page, for inserting in the pre conference proceedings; payment of registration fee; Extended !!! Registration of the participants will be carried on using conference web site. Full content of the papers after receiving positive review will be published in journals (decision made by editors): “Diagnostics”, “Proceedings of the Institute of Vehicles”, “The Archives of Automotive Engineering”. Sending the summaries and the full contents of the papers, as well as the decisions regarding acceptance of a paper and its qualification for oral presentation or poster session, should be done using conference web page. The presentation of the paper by its author as well as the fee payment is the condition for printing a paper in the materials from the conference. Maximum size of the printed paper formatted according to the rules of “Diagnostyka” journal may not exceed 6 pages. !!! Poster size - A1 (portret) !! !